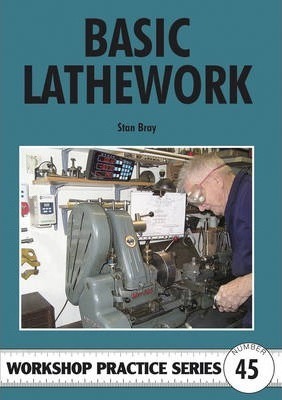 This book deals with all aspects of the lathe covering the selection of a machine and its construction, including modern types of machine as well the more traditional models. All aspects of tooling, both traditional and modern are covered in depth, as are all machining operations including general machining, taper turning, threading and boring. The author pays particular attention to modern applications such as the conversion of power supplies from single to three-phase and the use of digital equipment to improve efficiency. It is suitable for use by the beginner with no knowledge at all of lathe work and to those who are more advanced and wish to improve their skills. Introduction. Safety. The lathe explained. Choosing a machine. Power supplies. Cutting tools. Work holding - chucks. Other work holding methods - the faceplate. Tool holding. Centres. General machining operations. Parting off. Hole boring. Threading. Taper turning. Measurement and control systems. Miscellaneous operations. Stan Bray is a model engineer of long standing and author of a number of books on model engineering and associated subjects. He was founder and editor of the magazine Model Engineer's Workshop, former editor of Engineering in Miniature, associate editor of Model Engineer and editor of several other magazine of related subjects.